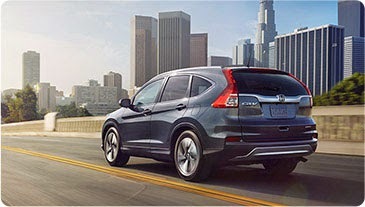 Like it always has been, safety remains a priority for Honda, particularly in their new 2015 Honda CR-V, which has been completely redesigned for the new model year. Of course, any time an automaker moves forward with a full update, it’s the job of crash-testing organizations like the Insurance Institute for Highway Safety to go ahead and run that new vehicle through the ringer of tests that determine just how safe a vehicle actually is. The good news for every Honda driver and Honda dealer in the country is that the 2015 Honda CR-V performed as well as any vehicle possibly could on this latest round of IIHS crash tests. By offering a front pre-collision warning system and earning top marks of “Good” on all five of the major IIHS tests, including the small overlap test that has been a huge problem for some automakers, the new CR-V was awarded the prestigious Top Safety Pick+ designation. While there were more of these in the 2015 model year than any other previous model year, we are thrilled that such an important model for Honda dealers is among the most recent batch. The car already is out and can be test driven here at Pacific Honda any time you want. It has been the best-selling SUV in the industry for a few years now, and we don’t think the redesign will hurt that one bit, particularly with such strong safety scores helping to provide consumers with another great reason to buy our classy, modern crossover.